This shows officers and crew from the US ship Potlatch in front of Sir Roland Symonette’s hotel Rozelda in Nassau, Bahamas, 1st August 1942. The Red Cross nurses are run by President, Wallis Simpson, the Duchess of Windsor. US Merchant Marine Academy (Kings Point) Nathan J. Kaplan at left and Michael J. Carbotti on far right. Marion “Betty Carstairs”, owner/skipper of Vergemere IV, is third from left, back row. 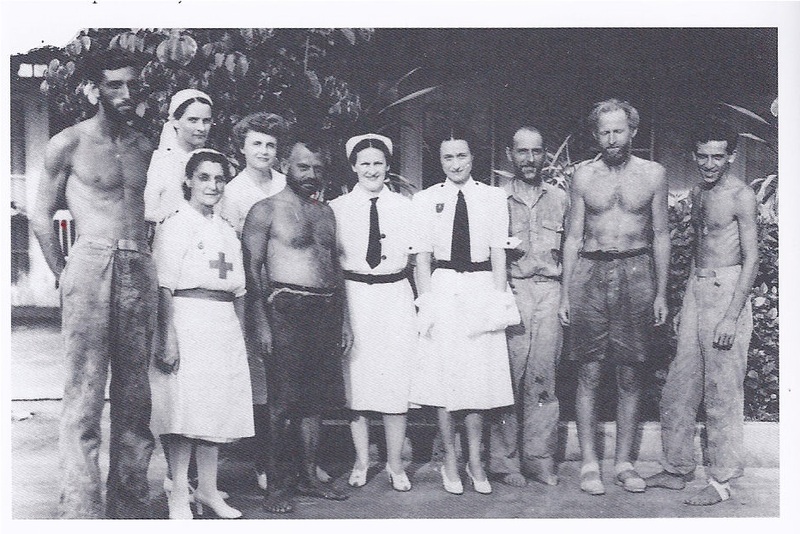 Am working on identifying all the nurses (Sawyer and Esfakis?) and crew (Moe and Jackson).